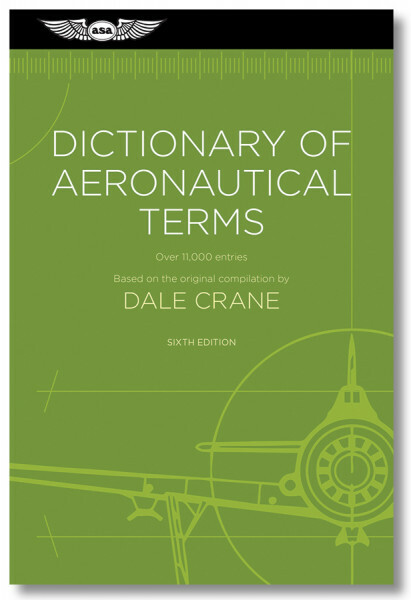 Dale Crane’s ultimate reference book contains more than 11,000 accurate, aviation-specific terms and definitions, updating and gathering all the terms in Title 14 of the Code of Federal Regulations, glossaries from FAA handbooks, advisory circulars and manuals, the Aeronautical Information Manual (AIM) and Pilot/Controller Glossary, as well as definitions not found in government publications. Nearly 500 illustrations further define and aid visual recognition of the terms, and useful tables and lists are included in appendices. In an industry of acronyms and technical language, this comprehensive dictionary is an essential reference book for anyone involved with aviation and/or space organizations—administrators, pilots, maintenance technicians, drone operators, colleges and universities, air traffic controllers, manufacturers, engineers, government agencies, airlines, and corporate flight departments, as well as newcomers to the industry, and those who speak English as a second language.